Full Day Preschool Preparing Kids for Full Day Kindergarten! Providing Families in the North Side of Spokane with the Best Choice for Preschool (Full and Part Time) Before/ After School Care and Summer Camp. Call 509-327-8964 to Schedule Your Tour Today! "As a parent there is no price you can put on quality childcare and the people who are going to be with your child. 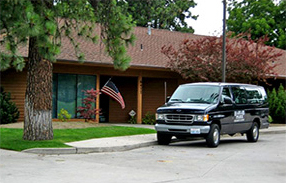 I am a firm believer that Harvard Park is the best in Spokane and would recommend this center to anyone." Harvard Park has been providing the families on the North Side of Spokane the best early learning experience for their children since 1988. We recognize the importance of a quality preschool experience for children and families. We strive to provide the children in our program with a staff and curriculum that is creative, fun and meets their individual needs. As one of the highest rated programs in our state's Early Achievers Quality Rating Program, Harvard Park continues to prove it's dedication to the children and families we serve. A caring, dedicated staff who take an interest in every child, not just the children in their class. Our philosophy is that children learn best by doing, therefore, we provide a hands-on learning environment that allows children the opportunity to manipulate, explore, and learn. We believe that children much learn the process before they can master the product. We want children to be successful, enthusiastic learners and it our goal that the children in our program enter Kindergarten with the necessary tools for this to happen. A great child care center begins with a great staff. Our experienced, educated staff and teachers receive ongoing training to meet our strict curriculum and teaching standards. Everything your child does is a learning opportunity at Harvard Park Children's Learning Center North. Ranked in the top 4% of childcare/ preschool programs in the state of Washington, we know how to prepare children for kindergarten. Our program provides consistency in staff, schedule, and environment so that children feel safe and cared for. Children who are supported in this manner thrive and develop to their fullest potential. Call Harvard Park Children's Learning Center North today at 509-327-8964!